Pop rock band Coldplay brought its act to Levi's Stadium on Wednesday night and, as expected, blew right past the controversial 10 p.m. curfew. 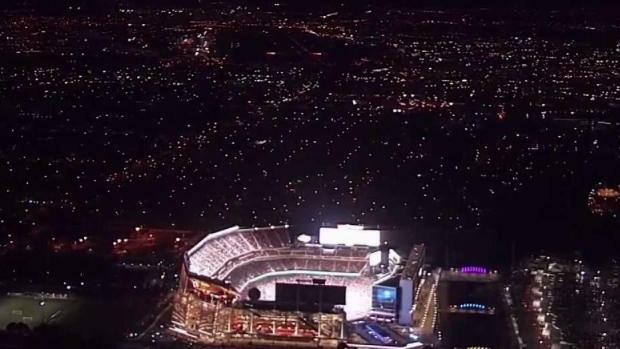 The band's managers and the stadium management, run by the San Francisco 49ers, were turned down by the Santa Clara City Council last week when they requested the weekday curfew be extended to 11 p.m.
49ers president Al Guido said they were merely asking for four extensions a year for concerts that generate revenue for the entire city, and he emphasized bands can't accommodate such an early curfew. He pointed to the 30 annual allowances granted to Great America. There were earlier hints Coldplay would play past the curfew as U2 did in May. Santa Clara Councilwoman Teresa O'Neil vowed it would cost the band and the 49ers. Pop rock band Coldplay brings its act to Levi's Stadium on Wednesday night, and many are wondering whether or not they will abide by the 10 p.m. curfew. Robert Handa reports. "Coldplay management and the stadium management will be fined by the city," O'Neil said. "It'll be $750 to $1,000." 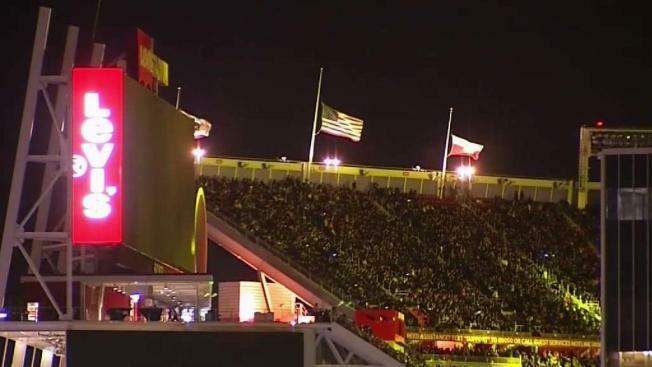 For the most part, neighbors of the stadium had mixed feelings about the concert volume after 10 p.m.
"The noise, the lights, it’s almost impossible to sleep really," resident Victor Ho said. "I mean, during the daytime it’s not too bad, but at night, after 10, it can be a problem." "I don't have small children or anything like that, and at that point, I'm pretty much still wide awake, so it doesn't bother me personally," resident Elena Butler said. "But I can understand why it would be a concern for some people." City officials say they want to support residents who have complained. And the city has planned community meetings to address the curfew issue, but those meetings have yet to be scheduled. "It could be that 95 percent of the residents who live within a mile of the stadium will say they don't mind if there are a few events during the summer," O'Neil said. "Or it could be the opposite." Regardless of what time the concert ends, Santa Clara police say officers will be there for the duration. "We are staying as long as they're playing in the concert and there are fans there to tonight," Santa Clara police Lt. Dan Moreno said. There was also a SWAT unit from Sunnyvale on hand for increased security in the wake of the Las Vegas shooting Sunday. "Public safety officials have been clear that abruptly ending a concert could ceate a public safety emergency. We followed their direction as it related to the event. We are concerned that concerts may not come to Levi's Stadium again unless the music ban is resolved in a way that works for everyone. We have already lost one event and will continue to lose more, costing thousands of local jobs, millions of dollars in needed revenue, and the world-class entertainment options that other major cities enjoy."